Today after breakfast, proceed to Alilaguna's Pier at St. Marks waterfront, embark on a motorboat and visit the Island Murano, where one can watch the antique art of making glass. Then one proceeds to the characteristic Island of Burano, with its strong colours and light contrast, fisher island and renowned for the lace making. Last Island Torcello with its old Cathedral and its atmosphere of remote Venetian past. Return to St Mark's Square. Day is free and at leisure. Overnight in hotel. Breakfast in the Hotel. Arrive into the Eternal City Rome. Check into the Hotel. 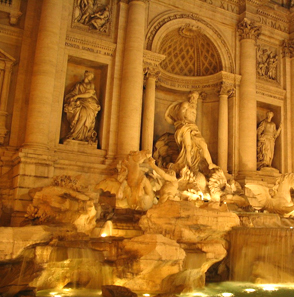 Later proceed for a tour in this Imperial City the starting from Piazza Venezia with its impressive monument dedicated to King Victor Emanuel II, Piazza del Campidoglio designed by Michelangelo, Roman Forum. Our coach will continue by the Circus Maximus and the Pyramid of Caius Cestius, Basilica of St. Paul outside the walls (visit inside). The tour will be completed with a stop outside the Colosseum. Return to your hotel. Overnight in hotel. Breakfast in the Hotel. A Visit to the Vatican Museum. The tour begins by through Piazza della Repubblica with the Fountain of the Nayads the Aurelian walls which once surrounded the ancient city. En route you will see the famous Villa Borghese park, Piazza del Popolo where you will see an Egyptian obelisk. Finally, on arrival at the Vatican Walls, your guide will then lead you into the Vatican Museums. Return to your hotel. Breakfast in the Hotel. In the morning departure to Rome airport. Tour Ends. Please Note. Sector train ticket for intercity transfers are not included in the packages because Eurail Pass might be convenient, otherwise it is better to buy only 2-3 sector tickets for Italy. You can find all the info also in www.trenitalia.com. If booked by us we charge 6 Euro for each ticket. Sector ticket will be ticketless, therefore client will not have to stamp it. From Rome Termini to Florence Santa Maria Novella train station : 44 euro per person From Florence Santa Maria Novella to Venice Mestre train station : 39 euro per person. Our booking fee is 6 euro for each ticket to be added. Fare might change without prior notice. Packages Prices are subject to Hotel availability. P.N. 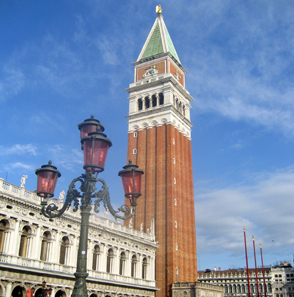 For Venice we use for these packages Hotels located in MESTRE, the mainland 15 minutes from Venice. 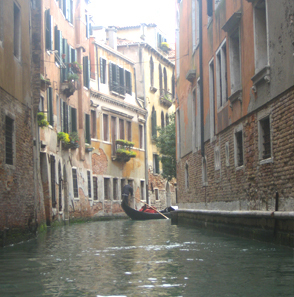 If your clients wish to stay on Venice Island, price will be on request. Venice Island Hotel will increase the cost.